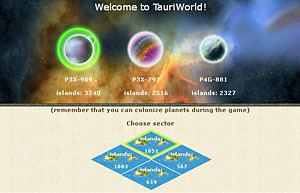 How to play TAURI WORLD? 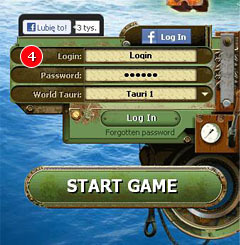 TAURI WORLD is a real-time online game with an extensive dependency system and a multi-layered structure. In TAURI you can find approx. 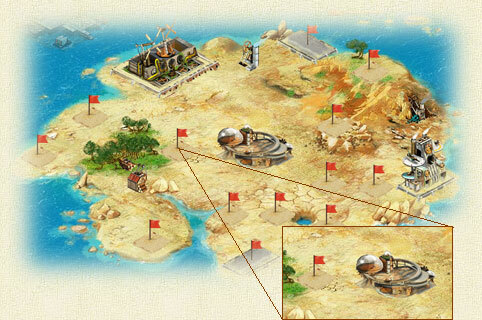 20 types of buildings, various defense systems, flying aircraft and land units - a total of 25 types has been designed. A unique system of colonization has been created giving players the opportunity to settle planets, including conquering eight islands on each of the planets. To start the TAURI WORLD adventure, just	sign up for free. 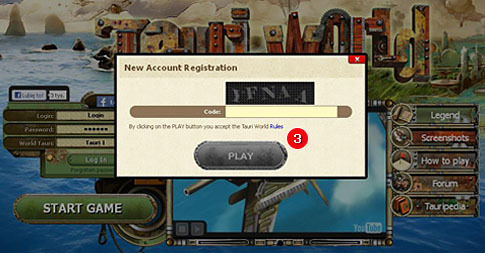 When you click the Start game (1) or Play for Free buttons, you will see the registration screen, where you have to enter your username and password (2) and then click “Next”. After that, read the terms and conditions and accept them, type letters and numbers from image and click “Play” (3). Upon acceptance of the terms and conditions (GTC), log on to Tauri World (4). Pick a sector in which you want to be. An island also contains spots marked with a flag. They are free places where you can build certain buildings. 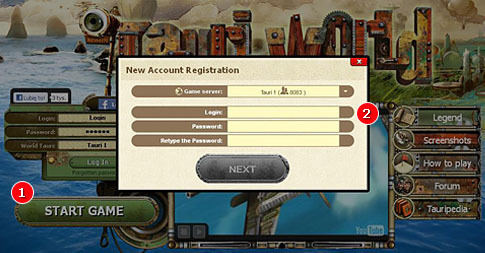 Production values are set in the game’s upper menu. When you move the mouse pointer to the currently displayed quantity of each material, the control panel appears (1). Sliders are used to set the raw material production rate. In the city you also have an option to rename the island. To do this, click Change the Name of the Island (2). It is worth developing your city, as each level of the city accelerates its construction by 1%. Near your island there are places designated for the stationing of your fleets. If you have ships on any of your islands, click on the fleet thumbnail, go to its description, and then give it a command to move. Possession of a platform is one of the many objectives you want to achieve. 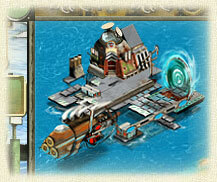 Platform will allow you to smoothly move your ships between islands. Tugboat is designed to quickly transport other ships. On the platform you can also build an interplanetary center to colonize new planets and a teleport to move ships at high speed (within a few seconds). The Protective Field Indicator is used to set defense strength of the field. Remember that a protective field will protect you more than once. 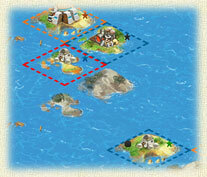 By controlling the map, you control your islands. 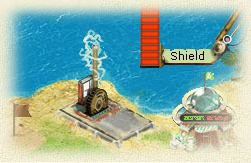 You can also watch and spy on enemy islands and share your fleets with allied islands. On the map you’ll see the degree of development of an island, check the activity of a specific player or damages inflicted upon the areas around islands being at war. Heroes and bonuses simplify the game. Thanks to bonuses and certain heroes, you can produce units and technologies more quickly, efficiently and cheaply.